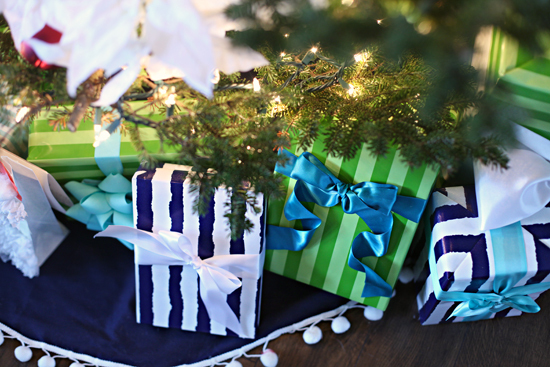 Although Christmas has come and gone, we are still in celebration mode around here. Last week we traveled for a few days, arrived home just in time for Santa's visit, and then had three more celebrations to attend over the weekend. I have so much love for this time of the year, but I think we are all ready to kick up our feet for a day or two. How have your holiday days been treating you? 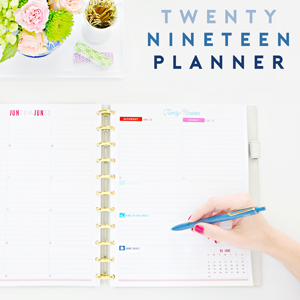 Have you been able to find a good balance of on-the-go fun and relaxation? I decided to keep our Christmas decor fairly low key this year. 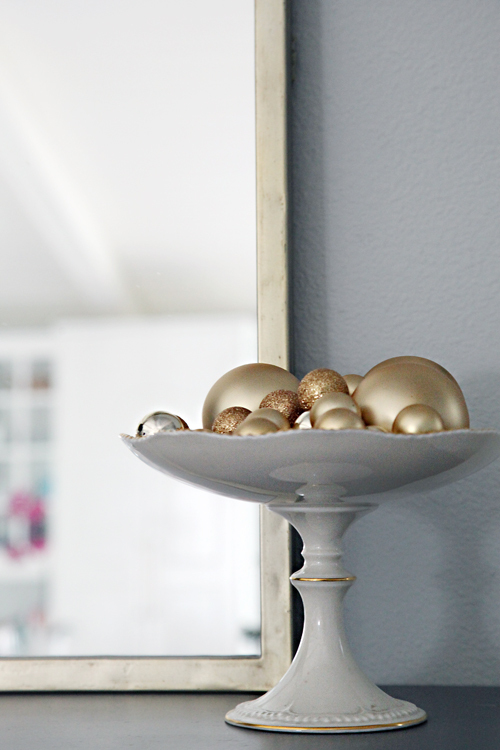 There are years where I am so together and ahead of the game heading into the season, that I go crazy with my decorating. 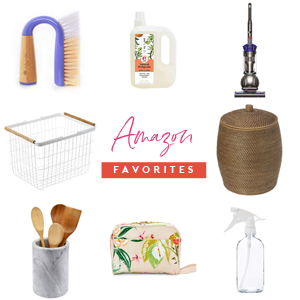 And then there are other years when I struggle with the idea of adding an abundance of new decor to our existing home chaos (which was the case this year). 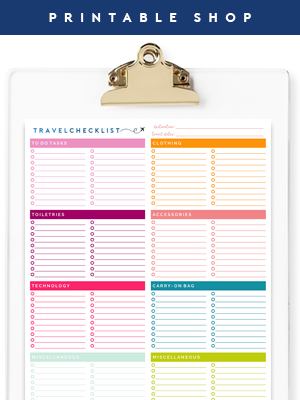 With the sickness that hit our household early in December and the amount of traveling we did toward the end of the month, I was content keeping things pretty simple. 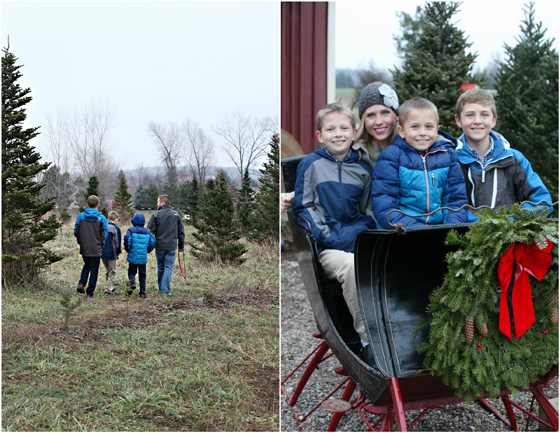 We decided to mix things up and celebrate our annual tree hunt by cutting down our own this year. 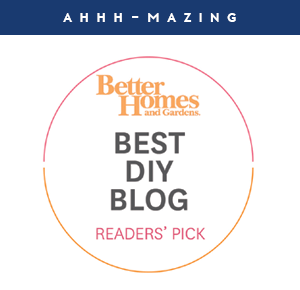 Typically, we head to the same nursery and pick something out as a family, but this year we grabbed a saw and set out to find something extra special. 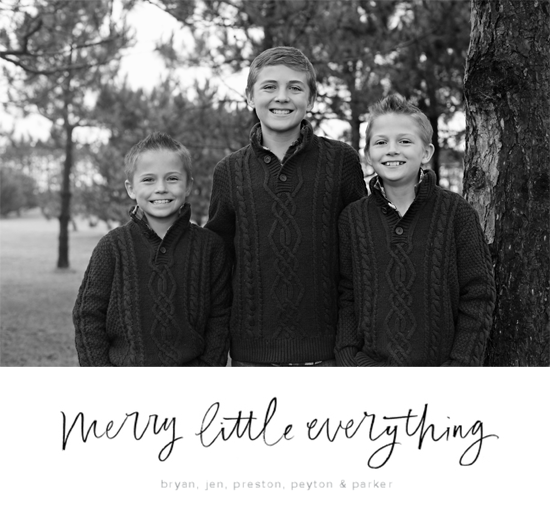 Our boys are all so different and rarely do all three of them agree on a single thing, so when they all selected the same tree, we knew we had ourselves a winner. Although I wouldn't trade the tree for anything, it was uneven and sparse in areas and a little out of the norm from our abundantly full trees of years past. We all worked on the tree over the course of a week; adding lights, ornaments, garland and bows to continue to fill in the empty spaces. The end result was the perfect colorful mix for our family. 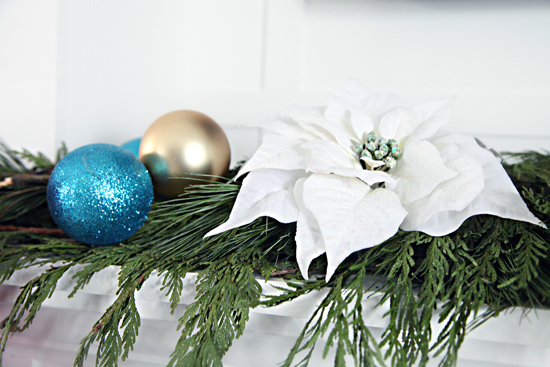 Last year I added white poinsettias to our mantel and I really liked the effect. Wanting to reuse them this year, I thought they would make great gap fillers around the tree. I initially wanted to do an entire garland out of the poinsettias, but I didn't want to blow my budget on so many faux florals. Instead, I opted to create a garland to compliment the flowers I already had. I have always been a bit of a busy body and like to always be working on something, so over the course of a few days of recovering from my head-cold and catching up on Hulu shows, I crafted a coffee filter garland out of filters and ribbon. This was my attempt to resurrect the coffee filter wreaths that swept blogland a few years back. I worked on this project in low light while sitting on the floor near an outlet for my hot glue gun and with a board on my lap as a solid work surface. Needless to say, I didn't take many photos as I went due to my "work conditions", so I used some leftover ribbon to recreate a portion of the garland in a quick video tutorial below. 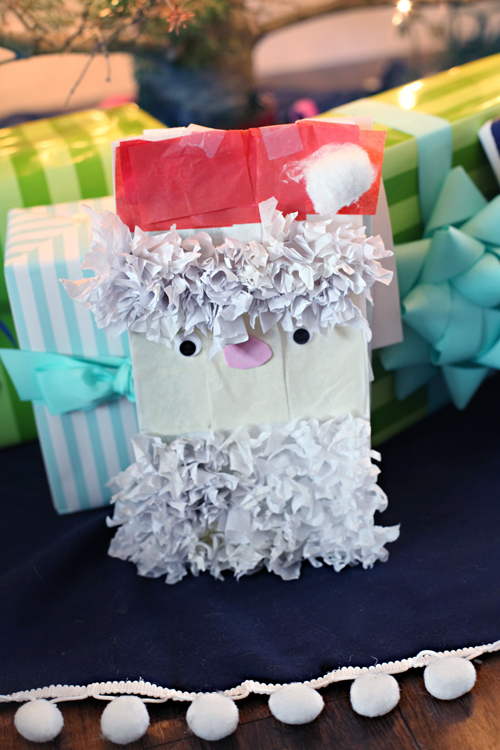 I will be the first to admit, this was not one of those quick Christmas crafts that you can tackle in fifteen minutes and celebrate for the rest of the season. Because our tree was so large and I created almost two full ribbon spools worth of garland (almost 24 ft! ), it took me quite a few combined hours to achieve the end result I was after. Lucky for me, I find these types of activities as natural stress-reducers, which is perfect for this time of year. However, now that the work is done and I want to reuse the new garland year after year, I also have to store the extremely bulky project. I won't be offended if you opt not to re-create this one, but I still thought I would share it since I received some questions about it from our friends and family that visited over the past few weeks. 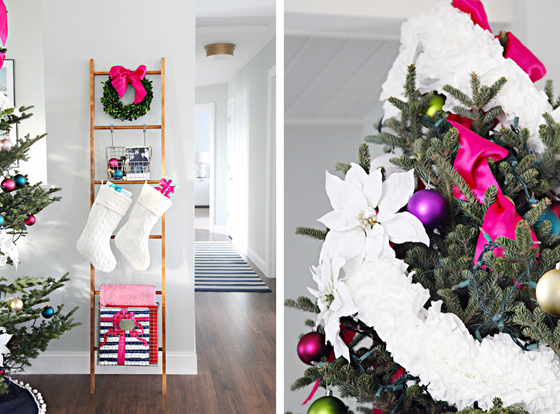 The garland and the wood ladder were the only two Christmas projects that we took on this year, but I love both equally! On the opposite side of the room, our mantel received some fresh green garland paired with a few more poinsettias and ornaments. 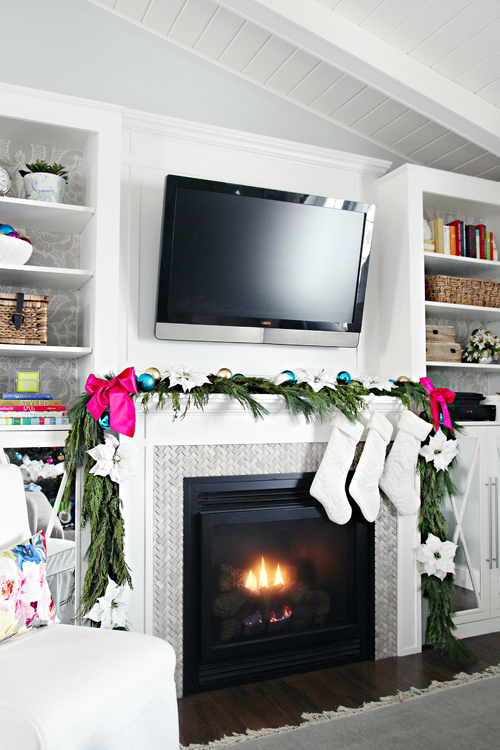 Mantels with televisions above can pose a bit of a styling problem, so I let the greenery steal the show. 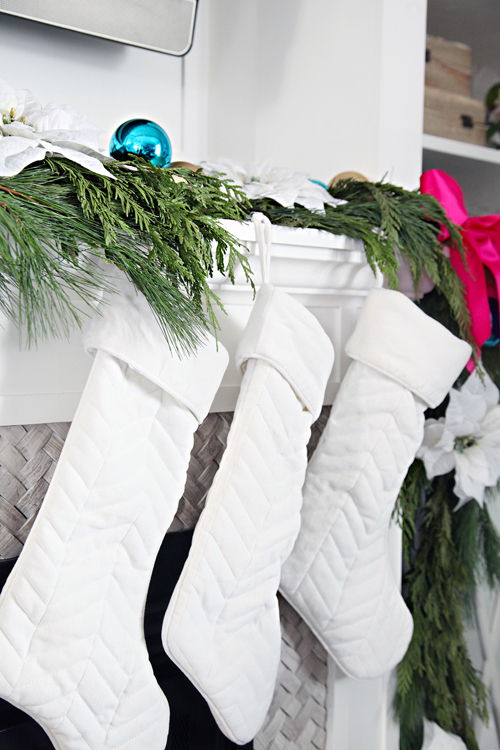 The stockings were hung using clear Command hooks. 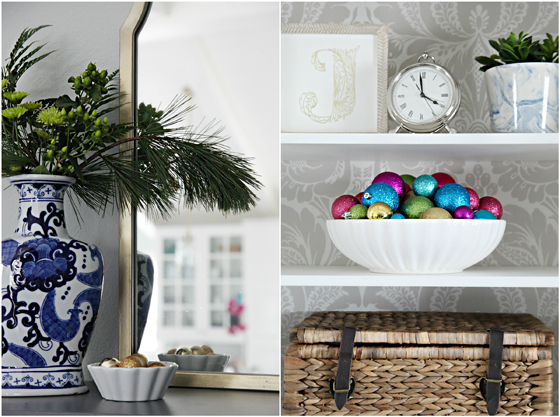 Extra ornaments piled inside of bowls and vases and that was the extent of this year's stress-free Christmas decor. We sincerely hope that you all had a very Merry Christmas this year. We continue to be endlessly grateful to have you all as part of our virtual family, and consider you all to be special gifts, not just at Christmas, but every single day. 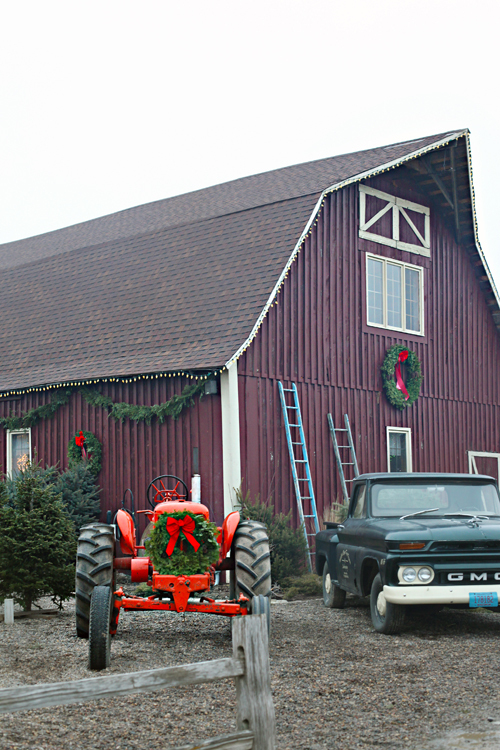 You can check out last year's Christmas decor here. Hi - It all looks so lovely! 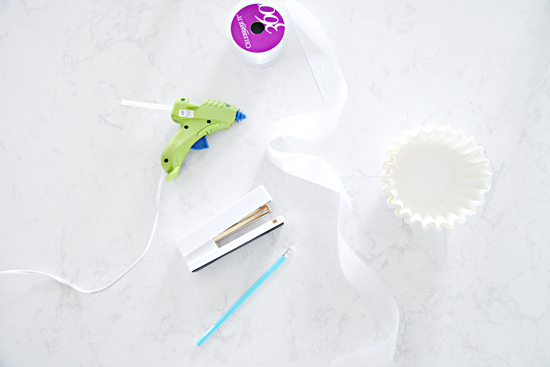 I lover your blog and am always happy when I see a new post! 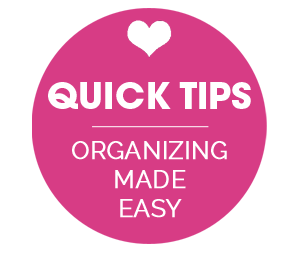 I live in a 1200 sq ft house with 2 teen boys and your blog really helps me make life a bit more organized. Today, I am going to ask about something that I have been noticing on a lot of blog sites - somehow I actually have the time to comment today, so although I am asking you, it is really a very general question. 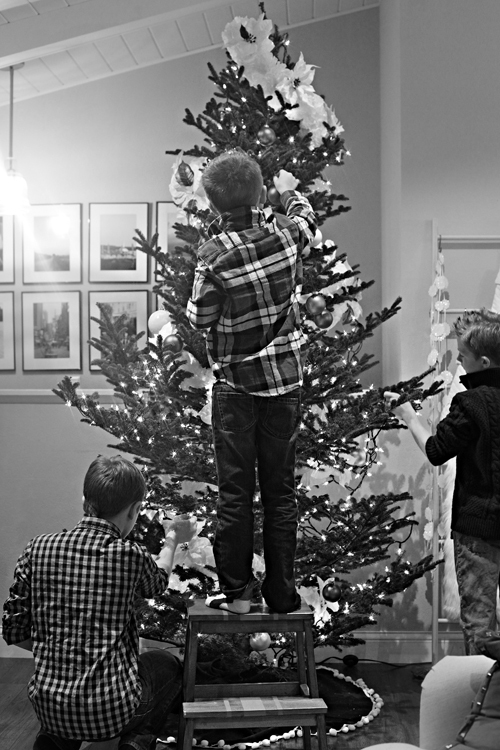 I see that you have 3 boys and I am assuming that they made ornaments etc when they were younger, and I am also assuming that like me, you get an occasional ornament as a gift - however your tree is very consistently decorated with ornaments that look very similar is size and origin (and looks beautiful!). Have you chosen to not use these "family" ornaments on the tree and/or do you use them elsewhere in the house? What a beautiful tree! 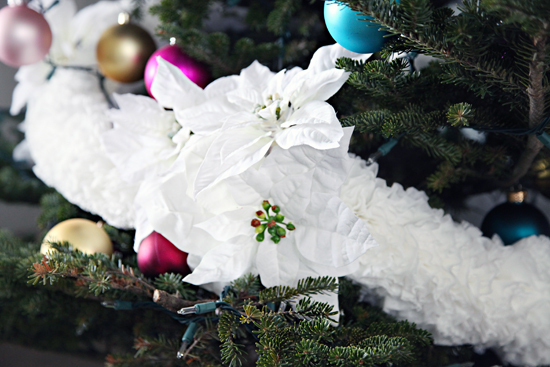 I would never have guessed that you made that garland with coffee filters - how amazing! I am so envious of your mantel. I need to get a mantel one of these days for sure! Awww heart melting picks, girl!! I love that mantle decor too! What a sweet family! Lots of meaning and traditions, love it! 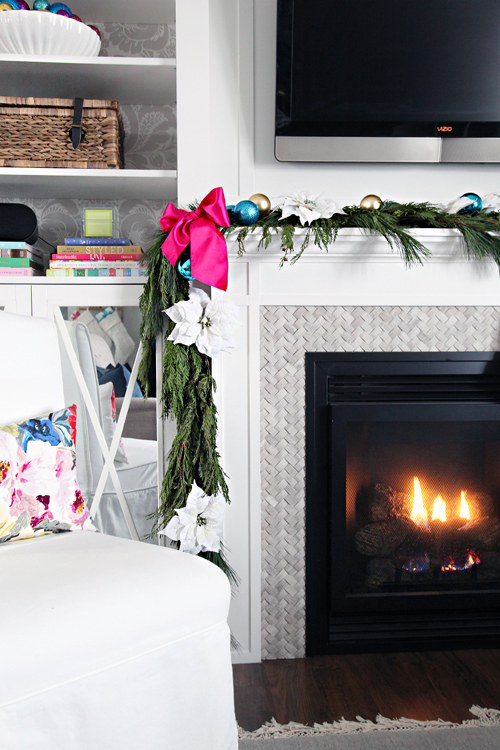 That garland & mantle is great, what a great & quick hack. Merry Christmas& Happy New Year! 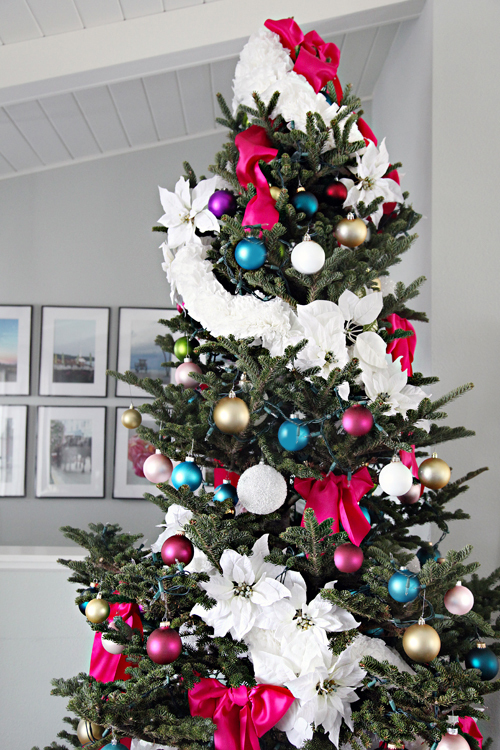 You did an amazing job decorating your home for Christmas! I love the minimalistic approach you took without losing one bit of holiday cheer!!! Have a happy happy new year, and as always, I look forward to your next post! 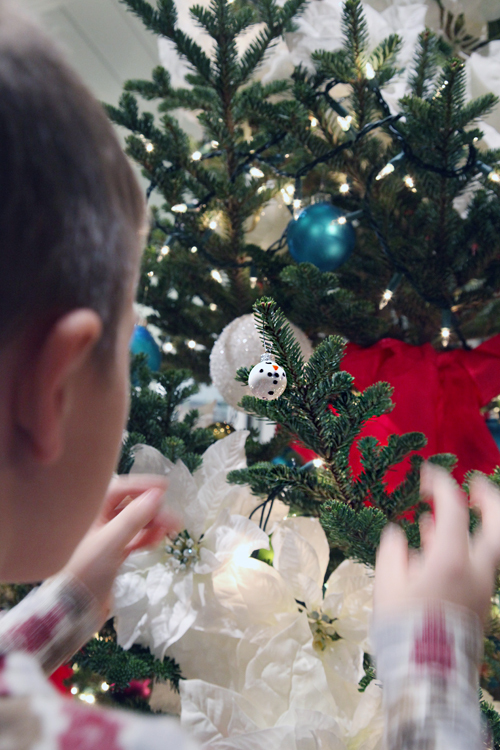 Can you tell me where you got your dark ocean blue tree skirt with puff balls? My dark blue crushed velvet one may be too old now to use again next year. Yours is adorable! Thank you! It is a piece of fabric from Hobby Lobby that I cut and hot glued some pom pom trim to. I believe the entire project cost around $15 and was extremely easy to make (no sew!). Dang! You'd never know that wasn't a high end tree skirt! Great job! Just might have to do that! Thanks!! I love the garland!! We have a few little traditions, like walking miles into the woods and schlepping the tree back out but each year we get less excited about Christmas, we're a Thanksgiving family for sure. Maybe when we have kids, we havent decided if we'll go with the santa myth or not and we aren't christian at all. I love your miniamilistic approach, Jennifer! 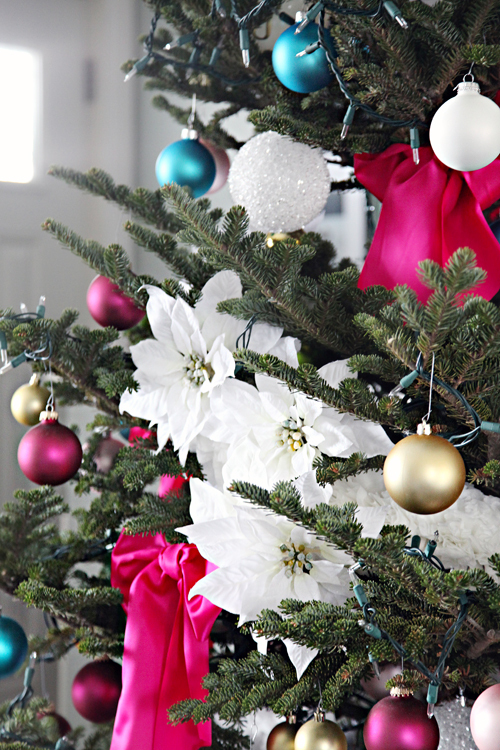 I especially love the white flowers on the mantel and the tree and I can't believe you made that garland! I have a question for you as the holiday season comes to an end. Great question! 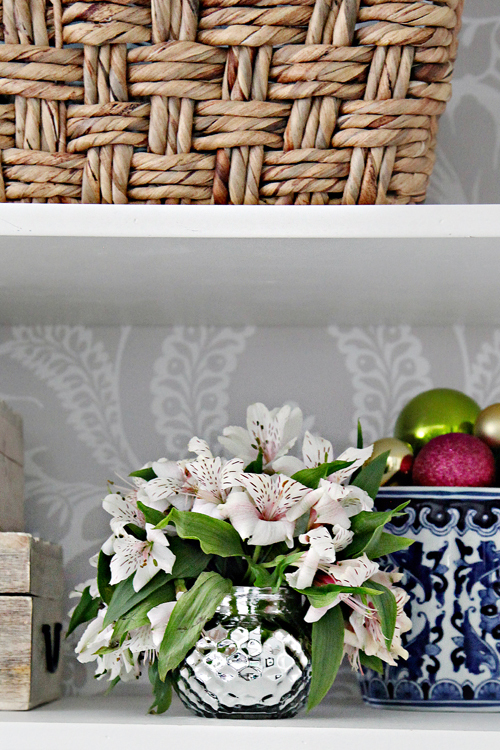 I keep many of our inexpensive and standard decor packed away in stackable plastic storage bins, but I use a soft sided divided box for ornaments of value. 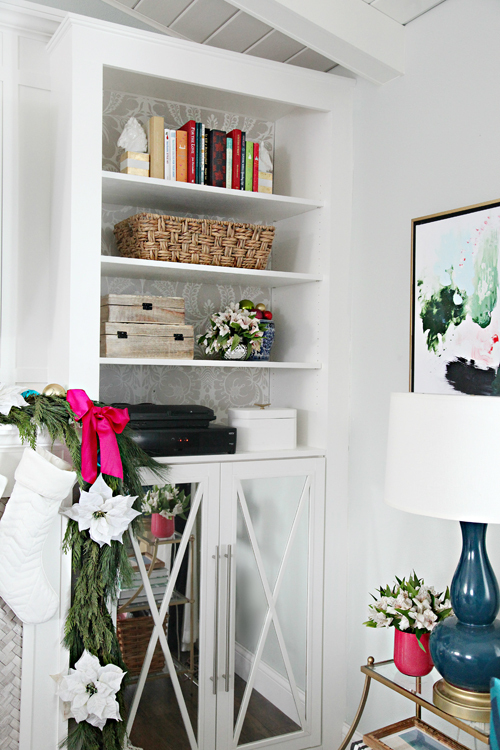 I definitely think it is important to find a good balance (there are so many expensive holiday related storage bins on the market) and to store items that have more sentimental value with added care. Merry Christmas to your family as well and Happy New Year! Way out there question: what happened to the capiz shell lights you had in your hallway? The choice of colors is so great against all the gray- Beautiful job! Congrats ! it's so beautiful ! I love that you even match your wrapping paper to your overal decorating scheme. I'm guessing each boy gets a single color? Thats how my dad always did it when we were little. We each got a different themed wrapping paper. I too did mininak decor this year and it came down the day after Christmas in preparation to patch and paint our living room this year, which is really the best present of all! Although it is a little sad to see it all go, im really looking forward to the fresh paint! I hope your living room painting project is off to a great start and that you are enjoying the new color! Wow! Girl. I love your home at Christmas. That garland is so darling and clever. Always such a crisp and pretty space. Happy New Year to you and your sweet family. Hoping we can see each other this year. Love you! I can't help but giggle over your sparse tree, because ours was the same way! I love they way you filled it in, it turned out beautiful. Oh, I definitely think you could do that, it would be so pretty! Bright colors. What do you do with all the ornaments that the kids have made and the ones handed down from when y'all were kids? Hello! I have read your post twice and just noticed something...not sure whether you have highlighted it before, but did you stencil or wallpaper behind your book shelves in your living room? I love the pattern! I did it on a whim and I am not entirely sure how long it will stay, but I do love that it adds a little softness to the shelving area. :) Great eye!